My name is Waynette Speakman. 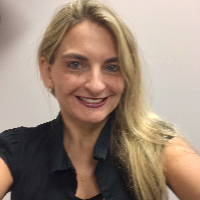 I am a Licensed Mental Health Counselor (LMHC) in the state of Florida and I am also a National Certified Counselor (NCC) and a Certified Clinical Mental Health Counselor (CCMHC) through the National Board of Certified Counselors. I am also a Board Certified -TeleMental Health Provider (BC-THP). I graduated from the University of South Florida in 2007 with a Master's in Counseling. I primarily work from an Adlerian counseling perspective as it utilizes psychodynamic, cognitive, and behavioral techniques. I incorporate cognitive and behavioral strategies into counseling to facilitate goal-directed positive behaviors, while also taking into account past history, birth order and family dynamics. Adlerian therapy is goal directed and future focused, therefore we will not spend too much time on past history, rather add it to the other pieces to create the best possible picture. I will integrate solution-focused strategies and motivational interviewing techniques to encourage problem solving from a positive goal oriented perspective. I am really excited to meet you and start working with you. Waynette does a wonderful job of making me feel like I matter. I don't know how she treats her other clients, but every time we start a session she is always happy to see me and talk to me. She always has a lot of energy and her energy helps me feel better and happier and more able to do the things I need/like to do. The greatest thing that Waynette has helped me with is understanding that I am not alone. Ms. Speakman has done an excellent job understanding and offering me suggestions on how to work through my issues. I love that I could talk to her every day day instead of once every two or three weeks. I think we were a good match. I am hoping that after I get through my current crisis that I will be able to check in from time to time with her as other difficulties arise. Waynette is a true professional who doesnt try to show off by using lingo that lay people wouldnt understand. She is very supportive and offers ways in which the client can participate in their own journey. She actively listens and is genuine about her caringness for others. I am so thankful I was matched with Waynette. She is amazing and really guided me through a very dark place to a more bright and hopeful place. She's a great counselor. I would highly recommend her to anyone seeking help, and because of her, I have already referred others to betterhelp. She has extensive knowledge but above all that she is an extremely caring and compassionate person and that is not something you can be taught in class or learn from a book. If all your counselors are like her, betterhelp is definitely making the world a better place for many people. She is so attentive and genuinely cares about doing everything she can to make sure you are in a good place mentally. Waynette Speakman is a great counselor. She has helped me in so many ways. Before our first session she was always replying to my messages in a timely matter. She was always there to talk and was very helpful to me. My first video session with her went great! It is so great to be able to talk with someone who understands what you are going through and can give you advice to help you through it. I am so glad that I found her on here! Would you like to write a review for Waynette Speakman? We'd appreciate if you can spend a couple of minutes to write a short review for Waynette Speakman (LMHC, CCMHC, BC-TMH). This review would be shared with Waynette Speakman. It may also be posted in our website or in Waynette Speakman's profile but it would be anonymous and your identity would be kept completely confidential.